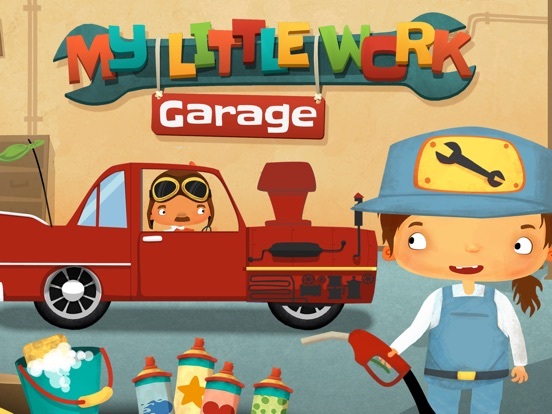 My Little Work-Garage is a great app with realistic sound effects and wonderful illustrations that gives children an opportunity to experience what it is like to work as a mechanic. 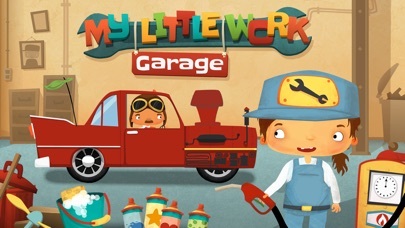 Kids are going to love working on all kinds of cars as they fill up the gas tank, refill the oil, put air in the tires, etc. in their very own garage. 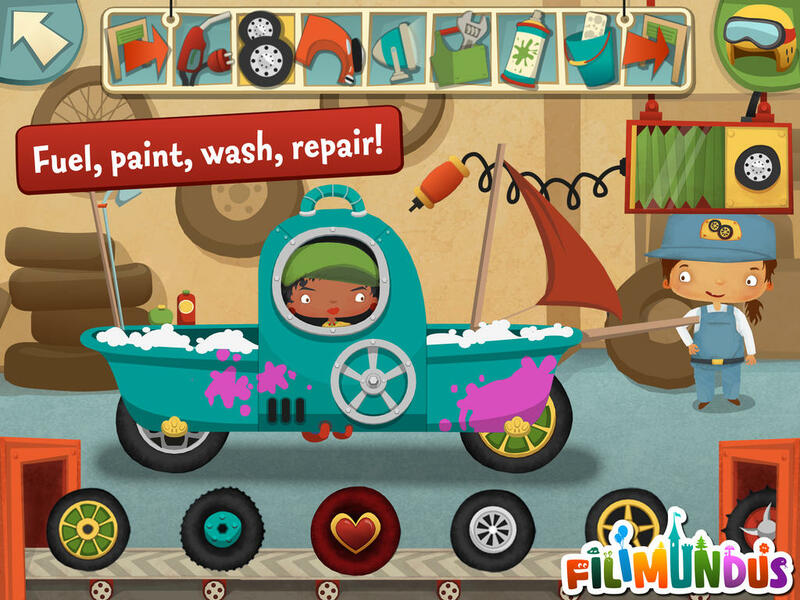 The developers have outdone themselves in creating such a realistic, fun, and creative app that children. The developers have outdone themselves with this awesome app. There are so many great sound effects and great illustrations that children can enjoy. From the time their client enters the garage to the time they leave, children will hear a variety of sounds that are extremely realistic. For example, as they fill the car with gas or refill the oil they will hear a ‘glug’ type sound and when the car moves through the garage they hear the revving of the engine. 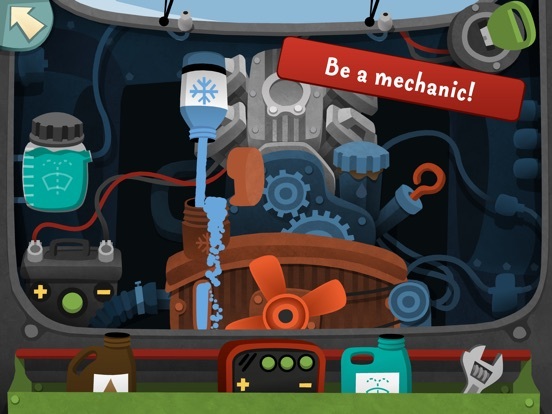 The illustrations and interactive pieces at each station allow children to feel like they are really working on a car and the user interface is super simple to use. This is one app that should not be missed! 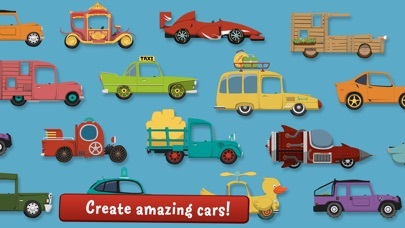 Children get to use their creativity and logic as they the care of each new client in this app. As each car rolls in they may have a variety of problems that appear as bubbles above their heads. Players must help fix the problem before they can send them on their way. They may need to put air in the tires, replace them, fix a headlight, tinker with the engine, or paint the car. Once they have completed their tasks they can will collect their fee and send the client on their way. 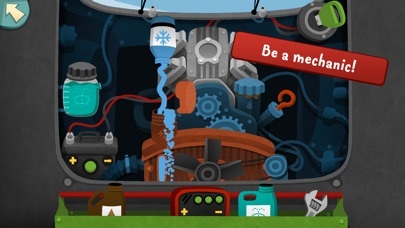 While this is not a traditional education app, it does offer children the opportunity to use their problem solving skills as they play. 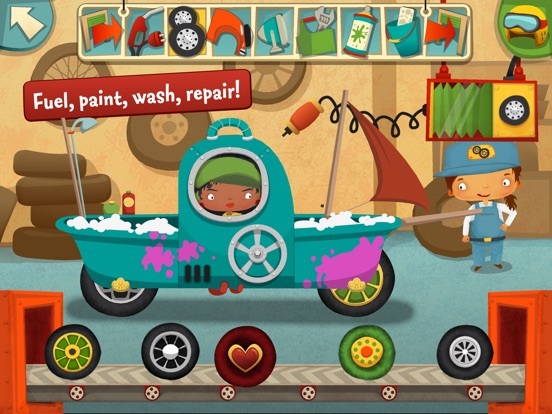 In addition to fixing cars, children can decorate, paint, and add patterns to each clients car as they come through. 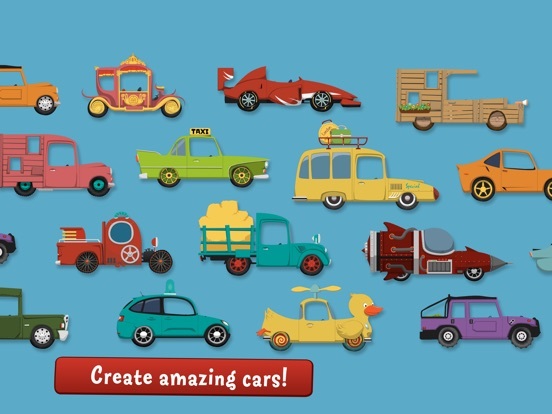 This creative piece is great for users to explore each station and what they can do to each car. 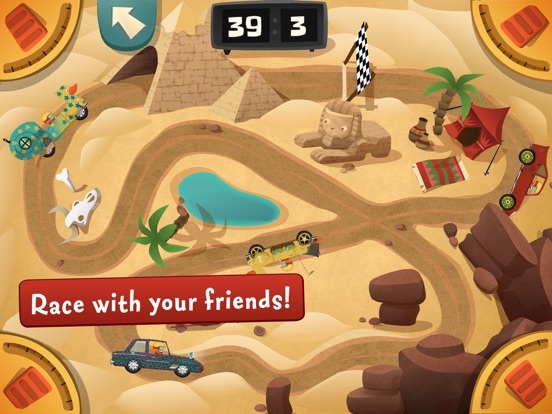 The developers have also included an additional multiplayer racing activity that adds a bit more fun to an already engaging app. Priced at just under two dollars this app is a steal. There is so much you can do in this app that children are going to have fun for hours and with such a low price, this app is a great value. Parents don’t want to miss this one. 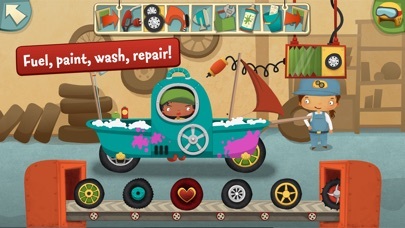 With no in-app purchases, social media links, or advertisements to be concerned with, this app is great for children of all ages. The easy to use interface makes it great for even young children to explore and the fun sound effects and illustrations help to keep children engaged. 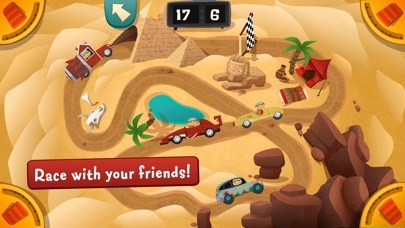 Overall, the developers have done an outstanding job making this app fun and easy to use.